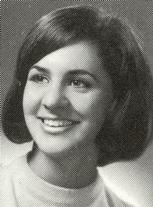 Marsha L. Dunlap, 54, died Tuesday, December 7, 2004, in her home. She was born March 6, 1950, in Milwaukee, Wisconsin, the daughter of Robert and Marna (Buenger) Goelzer. She was a member of Our Savior Lutheran Church in Sun Prairie and had been a librarian for the Deerfield Public Library. Marsha was known as quite an artist and a writer of children’s books. On June 24, 1972, Marsha was united in marriage with Richard Dunlap in Milwaukee. Survivors include her husband, Richard, Sun Prairie; two daughters, Emilie (Michael) Anderson, Sun Prairie; and Anna (Adam) Hartshorn, California; one brother , Mark (Carol) Goelzer, Janesville; two sisters, Joan (Ted) Johanson, Stevens Point; and Abby Goelzer, Milwaukee. A memorial service will be held at 3 p.m. Friday, December 10, at the Cress Funeral Home in Sun Prairie, where friends may call from 1 p.m. until time of service. The Reverend David J. Berggren will officiate. In lieu of flowers, the family prefers memorial for funds to be established in Marsha’s name. Wonderful mother, devoted wife, and my best friend. Miss her everyday.